United American Corp (UnitedCorp), a digital technologies company, has filed a lawsuit against Bitmain, Bitcoin.com, Roger Ver, Kraken, and other individuals involved in, what United Corp claims is, a "well-planned scheme to take control of the Bitcoin Cash network." UnitedCorp alleged that the defendants caused the "global capitalization meltdown of the Bitcoin Cash network" for their personal gains at the expense of others. This suit revolves around the November 15th, Bitcoin Cash hard fork that effectively split the network in two. 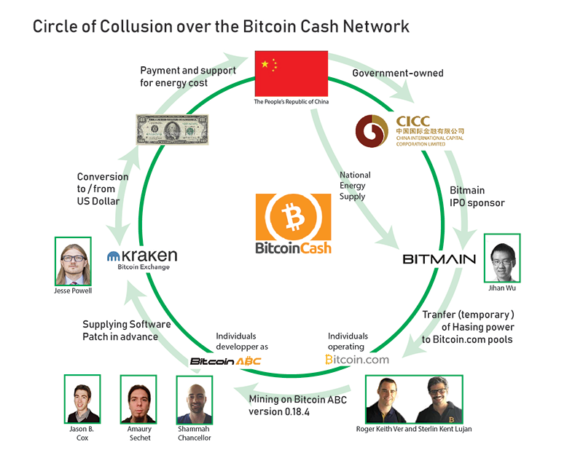 After the split, UnitedCorp alleged that the defendants took control of the Bitcoin Cash network violating the "Nakamoto Whitepaper and consensus rules," creating "significant uncertainty and a lack of confidence in the network."